Existing Logo and Photography supplied by client. This client produces quality jams, teas, sauces and related products derived from all naturally and locally grown berries native to the area of Newfoundland they reside in. They are also a member of the Atlantic Économusée Network whose primary objective is to promote high quality artisans and their salable product through making available marketing tools they may not be able to access in the normal operation of their business. 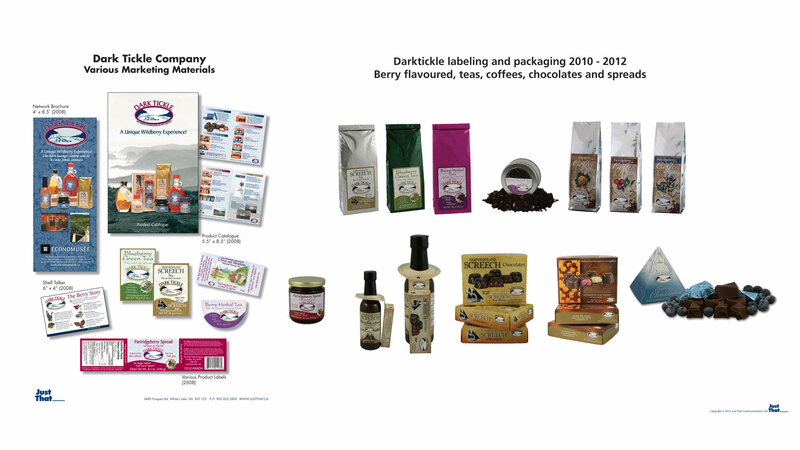 All pieces were born of a new marketing and branding exercise to give Dark Tickle a fresh new appeal. Along with introducing a number of new products.